See Current Diner Menu Bellow!! St. Cleopas is dedicated to providing an environment that promotes healthy eating and enabling pupils to make informed choices about the food they eat. This will be achieved by the whole school approach to food and nutrition documented in this whole school food policy. 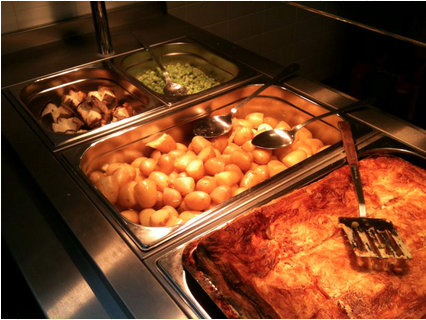 All dinners served to our pupils at St Cleopas are free range and locally sourced meat, fish, fruit and vegetables. Dinners are provided by local company "Food for Thought Ltd" based in Belle Vale South Liverpool. They achieved the Soil Association's Gold Award two years running.